English lavender is a short-lived perennial herb that is as popular for its wonderful fragrance as for its colourful flowers. As might be expected from a plant that has given its name to the colour lavender, the flowers are typically shades of mauve through purple, but white and pink varieties are also available. The green, bluish or grey-green leaves are simple, flattened, tapered oblongs, with silvery hairs that contain a fragrant oil. Lavender is a very versatile, forgiving and drought tolerant plant that will thrive in a sunny position on well drained soil. It is generally very low maintenance, and demands only an short back and sides each year to keep it looking good. In the garden, it combines well with many other popular plants. It remains a fashionable component of a wide range of designs, being equally at home in a contemporary gravel garden with sea-holly and Santolina, an informal Mediterranean garden with its curry plant, rock-rose and rosemary neighbours, or a relaxed, traditional English cottage garden with roses, foxgloves, delphiniums, hollyhocks and hardy geraniums. There are nearly 50 wild species of lavender, mostly from the Mediterranean region, though outliers are also known from the Canary Islands, eastern Africa and south-eastern India. English lavender is not native to Britain, and it was probably introduced by the Romans, who valued its culinary, fragrant and medicinal qualities. This article provides advice on caring for lavender in the garden border and patio pots, and suggests some of the best varieties to grow for their aesthetic and aromatic qualities. A very sturdy and upright variety, with long-lasting and beautifully scented dark purple flowers that keep their colour well when dried, and characteristic blue-green leaves. Its bushy form makes it a good choice for hedges and for lining path edges. Cutting its first flush of blooms in early summer will encourage a second flowering. A small and compact variety with bicoloured violet and purple flowers. It typically repeat flowers, especially if the earlier blooms are cut. This is a good choice for pots and containers. This variety has the typical lavender-purple flowers, and is grown as much for its foliage as its flowers. It is a variegated variety with rich yellow variegated leaves that fade to a creamy colour later in the summer. An old and long-favoured cultivar with erect, long spikes of white flowers that reach up to 85cm in height. 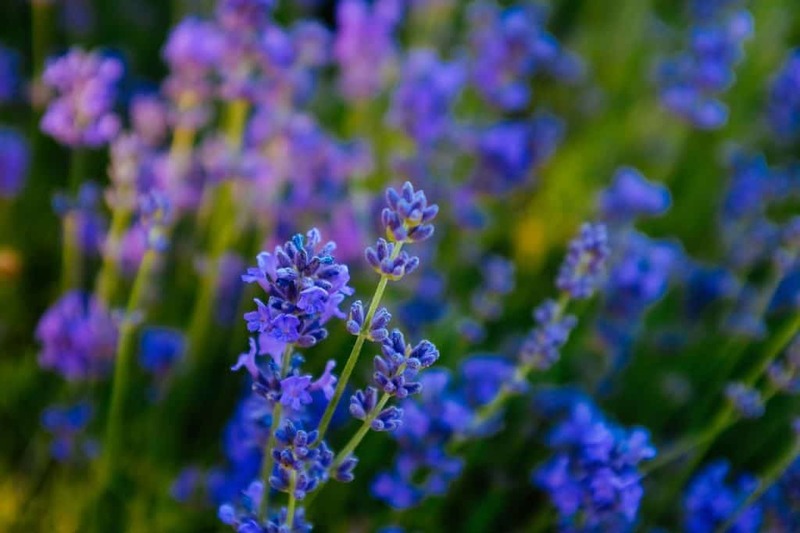 Give lavender plants space and light in a good, open position that provides direct sunlight for most of the day. It will not do well in shaded locations. A gravel or crushed shell mulch is useful to reflect light upwards, and it will appreciate a planting position by a light coloured, south-facing wall that will reflect even more sunlight and heat back onto it. 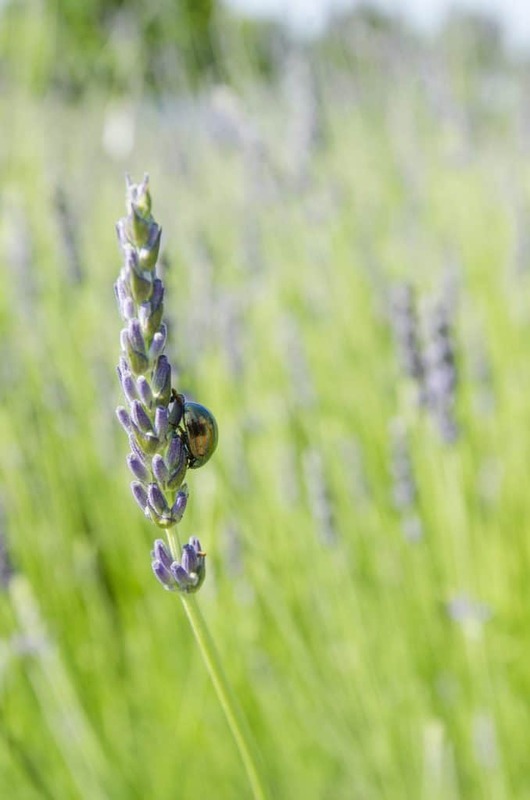 Lavender does best in conditions that are reminiscent of its native Mediterranean habitat, and especially its free-draining and calcareous soils. It is very susceptible to root rot in heavy, wet or clay soils. It is possible to grow lavender in heavier soils, but it will appreciate the addition of lots of organic matter and gravel to the soil when planting to help to ameliorate the conditions. Alternatively, some growers on clay soils create gravel-rich mounds above the normal soil level and plant their lavenders into these: using limestone chippings or broken oyster shells in place of standard gravel will not only aid drainage but also make the soil more alkaline. In the wild, lavender grows quite happily in low fertility soils that help to reduce the competition for light from vigorous grasses and other plants, and in the garden they do not generally need a lot of additional feeding. If young plants look a bit insipid or seem to be a little shy to flower, add a little potash-based fertiliser, but avoid the use of nitrogen-rich fertilisers that will encourage the production of leaves rather than flowers. Some gardeners suggest adding a light dusting of organic bone meal to a lavender planting hole to promote the slow release of potassium and other nutrients to the soil around the roots of the plant. Therefore, lavender growers need to give their plants an annual prune immediately after flowering in the second half of August to prolong their lives and to keep them in a compact shape. Within reason, the harder they are treated, the longer the plants last, so courage and confidence is required! Starting in the plants’ second year in the garden, prune them by removing the spent flower stalks and half to two-thirds of the current year’s growth. The severity should be guided by the height of the plant, and the aim should always be to leave just 2cm to 3cm of current growth on each stem. Always ensure that some green growth and obvious sources of new shoots are retained below the cut. If the pruning is done properly, it will look a bit severe to start with, but the plants will regrow into neat, leafy hummocks by the end of September, and they will reward the gardener’s bravery with fresh, fragrant growth and prolific flowers the following year! Lavender plants can be grown in pots if you want to move them to take pride of place when in full bloom, or if you like the fragrance on the patio, flanking the front door, or wafting through house windows that are regularly kept open in the summer. Pots will also be necessary for growing one of the more tender lavender species or varieties, such as the Canary Island Lavender (Lavendula canariensis) or Lavendula dentata ‘Royal Crown’, as you can take them into an unheated greenhouse or to a frost-free sheltered position for the winter. Lavender plants do best in pots approximately 40cm diameter or larger, with good drainage holes, and raised off the ground on plant pot feet to ensure water drains quickly away from the base of the plant and roots. Use two parts of a multipurpose loam-based compost such as John Innes No 3 to one part coarse grit for drainage, and add some controlled release fertiliser to keep it healthy for its first year in the pot. Use a modest amount of a potash-based fertiliser in subsequent growing seasons. Water the pots sparingly but regularly in summer whenever the surface of the compost feels dry, but keep them dry throughout the winter. The plants will be relatively short-lived in pots, and are unlikely to need re-potting, so long as they are established in a suitably sized pot from the outset. They do not make particularly good indoor houseplants, as they will not get sufficient light, though it is possible to bring them indoors briefly to enjoy the peak of flowering. Make sure they are kept by a south facing window, and that the pot is located in a good sunny spot in the garden for the rest of the year. Pots brought in temporarily in this way make fantastic natural air fresheners that are much nicer and more calming than the artificial, chemical-based spray or plug-in imitators. To maintain good root conditions and reduce the potential for rot, always use a clay or terracotta pot, and ensure that the compost is very well drained and never stands in water. The compact, dwarf varieties tend to do better in pots than the more traditional, tall varieties, and there is plenty of choice available, including purple, pink and white varieties. As these are naturally short-lived plants, even the bravest pruning regime will probably only extend a lavender’s life to ten years or so. 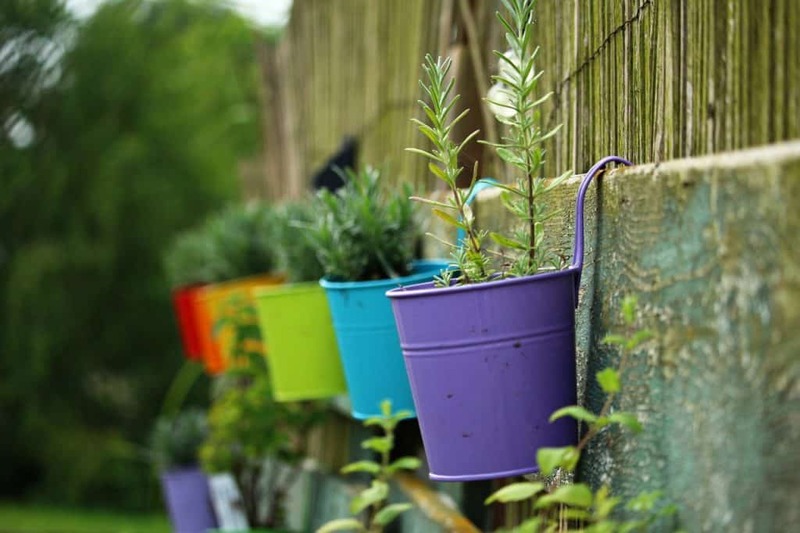 Fortunately, pre-grown plants in pots are freely and cheaply available at garden centres and even some supermarkets, so few gardeners consider it worthwhile raising their own. But the enthusiast who wants to reduce costs and to avoid the trouble of a regular trip to the garden centre, or for whom raising home-propagated plants is part of the enjoyment, it is quite easily to raise a succession of replacements on rotation each year from cuttings or seed. Semi-ripe shoot tip cuttings from plants that have reached four or five years of age provide the easiest propagation method and offer an insurance against the early demise of plants or winter rot damage. Cuttings will produce identical plants to the parent, providing continuity of form and colour, which is important in grouped plantings, lavender hedges, or massed plantings along border or path edges. Take cuttings that are 5cm to 10cm in length from non-flowering shoots, just as they are hardening in July. Trim off the lower leaves, then insert them carefully into a pot of sandy compost. If possible, keep the pot in a propagator with gentle bottom heat. Gardeners who relish the challenge of rearing plants from seed can collect their own from the garden, or buy packets from garden centres and specialist suppliers. Plants germinated from home-collected seed will not come true to the parent plant as the bees will have ensured that cross-pollination has occurred. Hence, it will not be possible to know in advance if the progeny will keep any of the characteristics of the parent, or indeed if they will develop into good plants. Sow the seeds onto a moistened seed compost in a tray or pot any time from February to July, and cover with a very light sprinkling of sieved compost or vermiculite. The container needs to be kept at around 20°C to 25°C until the seeds germinate, either sealed inside a clear plastic bag on a bright windowsill or in a propagator: germination will take two to three weeks. Transplant the seedlings into 7.5cm pots and grow them on in a cool but frost-free location until they are well established. They should be gradually acclimatised to outside conditions over the course of a week or so before they are planting out in their final positions in the garden. Lavenders are easy to care-for plants and they generally suffer few problems with disease or pests. However, they are susceptible to the attentions of the rosemary beetle, a small, shiny insect that can quickly cause serious damage to the plant. It is quite easily controlled by hand-removal of the very obvious adult and larval beetles from the plants, or appropriate pesticides can be used as long as the plant is not destined for culinary uses. Always spray outside the flowering season to protect pollinators. Lavender can also be affected by sage and Ligurian leafhoppers, two very similar small, sap-feeding insects that live underneath the leaves. They are most active between April and September, and, as their name suggests, they can jump or fly away quite effectively when disturbed. After hatching from an egg that was laid on the plant and overwintered there, the insect goes through several larval stages before becoming a 3.5mm long adult. At each change, it leaves a characteristic white empty skin on the underside of the leaves, a good indication of infestation. While the leafhoppers can cause a pale mottling on the upper surface of the leaves, this seldom seems to trouble the plant or its vitality, and control is not generally necessary as long as the plant is otherwise healthy. Lavender is best planted out in late April or May, when the danger of frosts has past and as the soil is warming but still moist. Pot grown plants can be planted out at almost any time of year, but in the summer they will need to be kept watered until well established. It depends on the planting scheme you are following and the effect that you want your design to achieve. Generally, in an open border, give the plants plenty of space and air, and plant them 80cm to 100cm apart depending on their final height and spread. Three can be planted together for a better clump effect. For lavender hedges, plant a single line of plants at 40cm centres. It probably is lavender. Some 30 or 40 of the garden varieties are now grown as an alternative crop on arable farms across the UK, from Yorkshire to the Isle of Wight, with concentrations on the limestone soils of Surrey and Kent. As well as producing garden plants and dried flowers for sale, the farmers typically also harvest flowers and leaves to distil the oil on the farm to sell as essential oil or to create a range of toiletries and preserves. The essential oil can be used as a gentle antiseptic for chapped or broken skin and for fungal infections such as athlete’s foot. In aromatherapy, its use is promoted for the relief of headaches and anxiety, and it is said to aid restful sleep. Lavender is great for the cutting garden and the vase, so bring the prettiness and perfume indoors! Cut it when flowering reaches its peak, generally around mid summer, and you can grow a range of varieties in the garden to extend the cutting period. For longer-term benefits from your cut lavender flowers, dry them in an empty vase, or hang bunches upside down in a dry, warm corner for a couple of weeks. The dried flowers may remind you of your grandmother’s linen drawers, or potpourri being eaten in a sixties sitcom, but the interest that the commercial farmers are experiencing demonstrates a contemporary demand for this ever-popular natural perfume. Lavender is still widely used commercially in perfumery and in soaps and bath oils. It was historically used in lavender-infused washing waters, and its name derives from the Old French ‘lavandre’, which in turn comes from the Latin ‘lavare’ (to wash). Flowers from the garden can be used in home-made washing and fragrance products. What’s more, lavender is a great culinary plant, and its flowers and young leaves can be used to add a sweet, herby flavour to ice-cream, salad dressings and sauces. It is often used with rosemary to make tasty meat marinades. Lavender flowers also make a great flavouring for biscuits, cupcakes and muffins, and candied flowers can be used to decorate the cakes for a double taste sensation! Q Is lavender good in a wildlife garden? It seems to attract a lot of bumble bees. Lavender flowers produce lots of highly concentrated nectar, and they attract masses of bees, butterflies and other insect pollinators, including hoverflies that are useful for natural aphid control. Lavender is therefore really good for insects, for birds and other wildlife that feed on insects, and for the garden generally. Honey bees love lavender, and they will produce a lavender-flavoured honey in hives kept close to large sources of the flowers. Not all varieties are equal though. Research at the University of Sussex published in Functional Ecology showed that lavender topped the poll of bees’ favourite garden plants, and that some of the highly bred varieties, including ‘Grosso’, ‘Hidcote giant’ and ‘Gros bleu’ were the most attractive to bumblebees. Interestingly, some white and pink varieties were visited as frequently as the more traditional purple ones. Patriotic gardeners will be pleased to know that a citizen science project organised by the Centre for Ecology and Hydrology found that English lavender attracted twice as many bumble bees as French lavender!